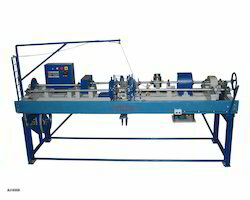 Our product range includes a wide range of rope tipping machine. We are engaged in manufacturing and supplying a wide range of Rope Tipping Machine that are processed in our state-of-the-art facilities with top grade quality of raw materials. These conform to international quality standards and are available at industry-leading prices.